This look isnâ€™t just for Western couture anymore. 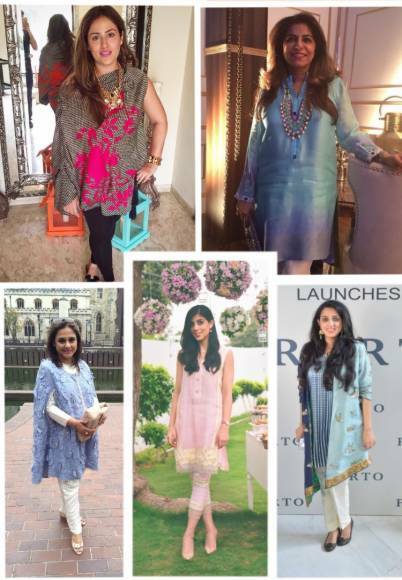 Many designers have adapted this trend and we love the transition it has made into easternwear. Be it an all lacey look or a solid color, this is surely one of our top favorites this season. This fun look has been the highlight of many upcoming pret wear collections. Why opt for the simple straight shirt when you can look effortlessly chic in a statement tunic paired with straight cigarette pants or tights instead. For a more formal daytime look, go for a simple slip paired with an open printed jacket. There are a lot of prints you can play with, but remember – the length is the key. Make sure your slip and jacket lengths are aligned or you could be making a serious fashion faux pas. Capes have been all the rage and for good reason. Theyâ€™re comfortable, stylish and give off a flattering look to any body type. You can play around with the detailing and different styles â€“ whatever goes with your individual style. If you want to keep it simple and elegant, an ombre kurta is your best bet. Not only is it the simplest way to stand out amongst the frenzy of printed kurtas, you can very easily accessorize it for a dressier look.